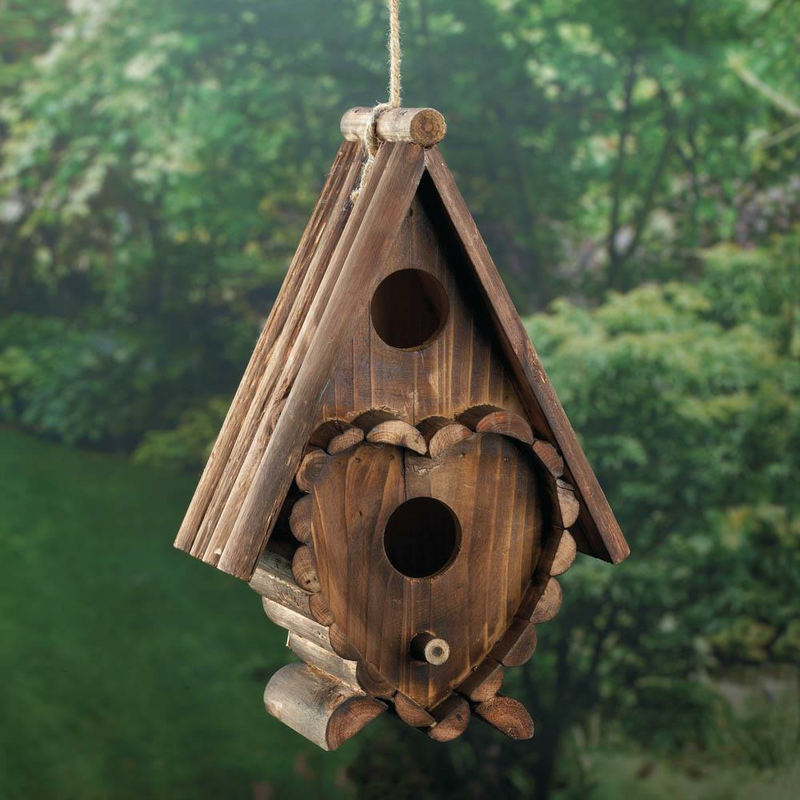 There's a lot to love about this charmingly rustic wooden birdhouse. 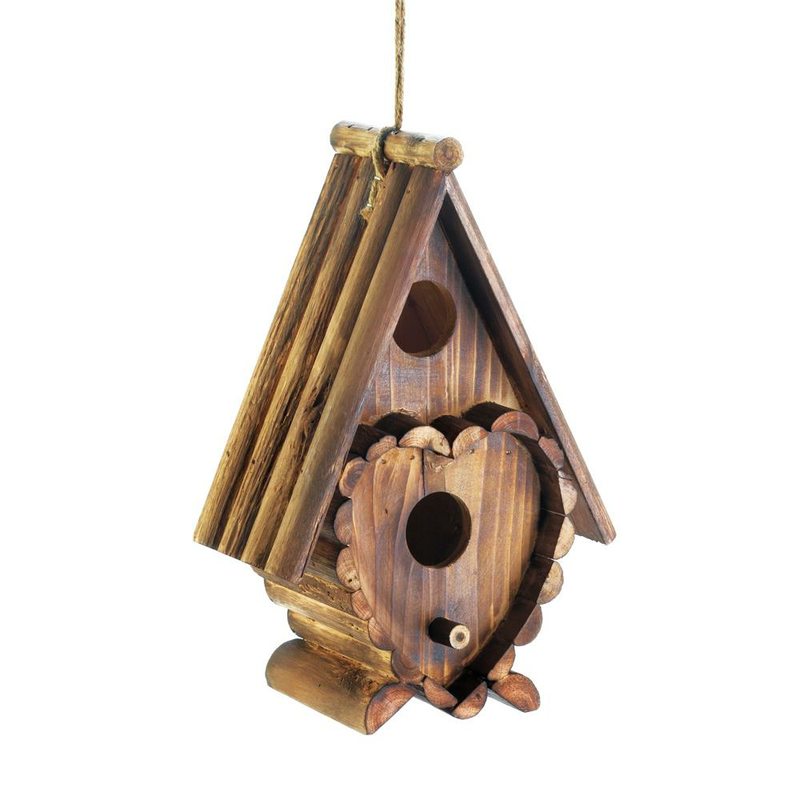 Hang it from a tree branch or your porch and birds will happily make a home inside. 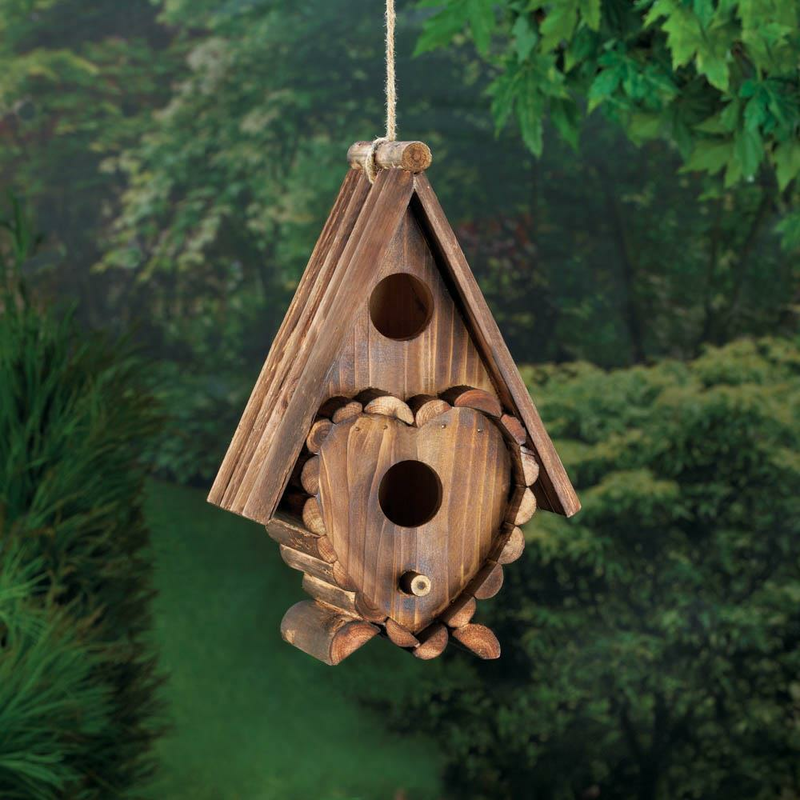 The steep roof and heart-shaped decoration makes it a great addition to your outdoor space. Weight 1.2 pounds. 7.25" x 4.25" x 10.2". Fir Wood. 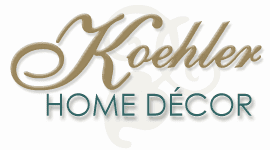 UPC Number: 849179035983.